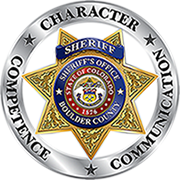 Under the philosophy of productive day in the Boulder County Jail, all new inmates must earn their inmate privileges. Until classified to another module, new inmates will be housed in the intake module. Within the first 24-72 hours, a Classification Deputy will conduct an individual interview with all new inmates during which time, a needs assessment will be obtained, as a result of the interview. Intake officers will conduct an Orientation with all newly arrived inmates within the first 24 hours in order to assist them in their transition to jail life. If the inmate elect to participate in the Jails Various Education Programs Units (i.e. The Phoenix Drug and Alcohol Program or the Transition/Re-Entry Program, he or she will be referred to the Programs Coordinator. Once the referral is made and the individual is found to be eligible for either program, a Formal Needs Assessment will be conducted prior to their entry into the Program. Privileges for participation in these programs consist of daily recreation, which may or may not be mandatory dependent upon the program. Inmates will be out of their cells from 0800-2200 hours each day with only intermittent periods of lock down due to operational needs of the Jail. During their free time (non instructional time), inmates will be allowed to watch television, attend non-contact visits and may participate in various educational programming throughout the day. If an inmate violates a jail rule, he or she may receive a sanction ranging from a lockdown to temporary or permanent removal from the program. If this should happen, depending upon the infraction and level of its severity, he/she may not be eligible to return to the program. Participation in these programs is a privilege and is to be treated as such. Inmates are expected to sign a behavioral contract prior to their acceptance into the program and the expectations are clearly stated upon their entry.